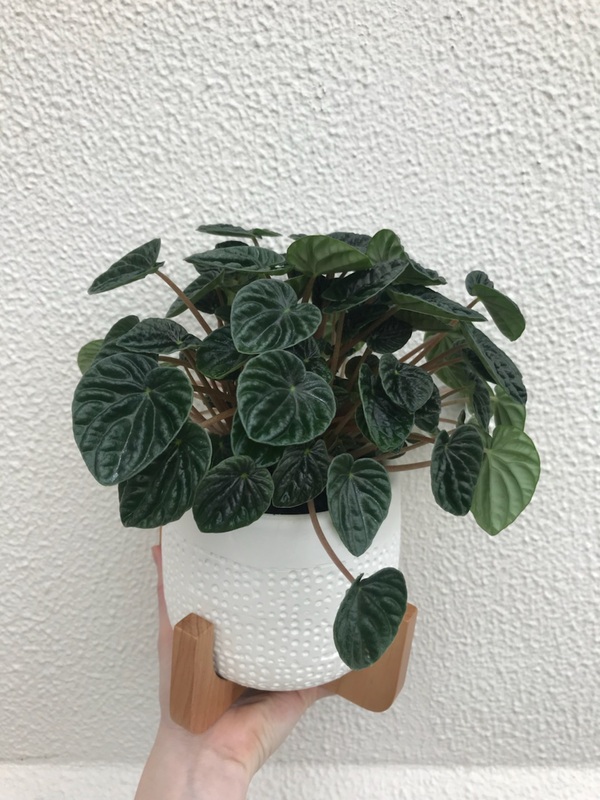 A stunning greenery plant – a dark green peperomia with wrinkled leaves potted beautifully into a white planter with a wooden base. One of the best selling plants at Code Bloom. The peperomia requires indrect filtered sun and only infrequent waterings, making it a very low care easy addition to your household or as a gift to someone special.